TweetDeck is one of the most popular third party apps for Twitter and a bunch of other social networks and it first arrived for iOS almost 2 years ago. Android users got the beta version of TweetDeck a few months ago and now the app has finally been officially released. TweetDeck 1.0 is now available to download for Android and it supports Twitter, Facebook, Foursquare and Google Buzz. The announcement was made on the official blog by developers who revealed that the beta version saw 36,000 downloads within a few days of launch. The blog post also announced that TweetDeck for iPhone and iPad will soon be updated and will be modelled after the Android version. This means that the Android version of the app is better than the iOS version and for a change iOS has some catching up to do. All those users who installed the beta version of the app will need to uninstall it first and then install the new official version. 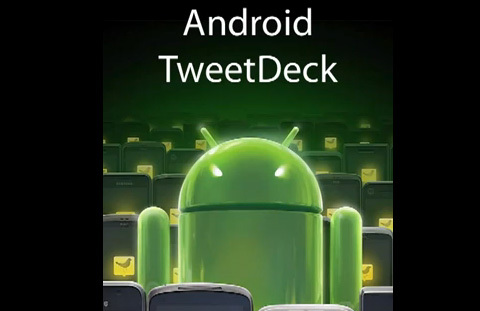 You can watch the video below to get a walkthrough of TweetDeck for Android. iTunes’ Upcoming Competitor, Google Music!